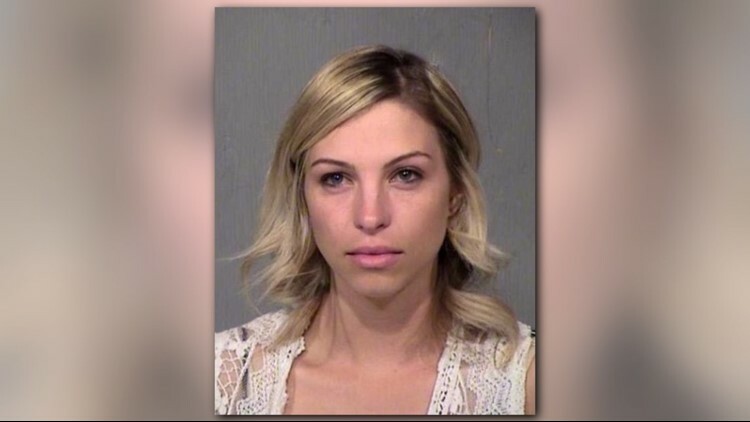 Goodyear teacher Brittany Zamora was arrested in March 2018. The victim's family seeks damages after her alleged sexual encounters with a 13-year-old student. The 12 News I-Team has obtained documents on a lawsuit from the police investigation surrounding a former sixth-grade teacher and her alleged sexual abuse of one of her students, a 13-year-old boy. The victim's family filed a lawsuit this month, seeking damages from the school district and Brittany Zamora's husband. The victim’s lawyer, Russ Richelsoph, says Las Brisas Academy school principal, Timothy Dickey, was aware of rumors between 28-year-old Brittany Zamora and her student and could have prevented sexual encounters from happening. “He was made aware that something was going on before the sexual conduct actually started so it could have been nipped in the bud, it could have been stopped before the damage was done,” said Richelsoph. According to police documents obtained by 12 News, Dickey, tells detectives he received three notes from students concerned about a possible relationship between the boy and the teacher but admits he made a mistake by not following up with all three students. Instead, he followed up with just one of them. “We’re sorry that it’s come to this. That it’s come to us having to sue the school district to hold them accountable,” said Richelsoph about the Liberty Elementary School District. The victim’s parents are also suing Zamora’s husband, claiming harassment after police say Zamora’s husband called the victim’s father to keep him from reporting his Zamora to police. 12 News has reached out to Zamora’s husband and the school district, but so fare we have not received a response. 12 News previously learned how the victim says his teacher from Las Brisas Academy in Goodyear, Zamora, lured him into sexual encounters. There were other encounters including one on school campus after a school talent show. According to detectives who spoke to the victim’s parents, there were at least four sexual encounters, documents say. Zamora was caught when the victim's stepmom was monitoring his phone with a parental control app, documents say. Zamora was arrested after a phone call between the victim's parents and Zamora, where she apologized and offered to resign, documents say.